A Property Manager in Philadelphia is an integral aspect of a successful real estate investment. A Property Manager in Philadelphia will ease the burden of real estate ownership by collecting rental payments, managing maintenance needs, keeping accurate financial records and much more. Many real estate investors are in need of a Property Manager in Philadelphia, whether they are first time investors, have a mid size portfolio, or even have a massive portfolio with units in the thousands. 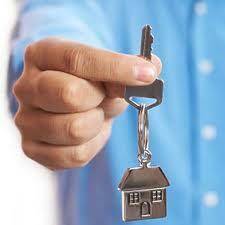 So, what should an owner of real estate look for in a Property Manager in Philadelphia? Integrity: You are entrusting the Property Manager in Philadelphia with the management of potentially your largest asset, so, you want to make sure he or she is worthy of that trust. In addition to the management of your asset, the property manager will also be responsible for administering a large sum of funds. This includes the tenant’s security deposit, a capital reserve fund ,and the monthly rent. First, make sure that the prospective Property Manager in Philadelphia is property licensed through the state real estate commission. Second, ensure that the Property Manager in Philadelphia has adequate E & O (errors and omissions insurance). JG Real Estate typically recommends a policy with minimum coverage of $1,000,000. Communication: In today’s competitive market a Property Manager in Philadelphia needs to be open to various modes of communication. Gone are the days where just answering the phone was acceptable. Now, a Property Manager in Philadelphia must email, instant message, speak on the phone, blog daily and much more to remain competitive. Additionally, in our experience, a property manager must get back to all inquires from prospective clients, and issues raised by tenants, within an hour max. Motivation: A Property Manager in Philadelphia must remain motivated at all times. Motivation translates to flexibility in showing times, willingness to work beyond the traditional 9-5 work day, doing whatever it takes to close deals, and making client & tenant satisfaction a priority. To help determine if a specific Property Manager in Philadelphia in will be a good fit for you and your property, feel free to speak with current and past references. Speaking with references is a great way to gauge how the Property Manager in Philadelphia will respond to issues, deal with tenants, and communicate with the property owner. Look up online reviews of the Property Manager in Philadelphia. Google reviews is a great place to start. Examine the Property Manager in Philadelphia’s work space. Is it professional and a good place to meet with clients? While this may seem insignificant, it is important for a professional business atmosphere to be established. How many units currently under management does the Property Manager in Philadelphia have? Be skeptical of start up management companies with a very small number of units in their management portfolio, unless the owner is very experienced in the field prior to opening the new firm. At the same time, be equally skeptical of a firm with thousands of units under management. With so many units, it may be difficult for the company to give your property the individualized attention which it deserves. The best Property Manager in Philadelphia is JG Real Estate. JG offers integrity, communication, and motivation. Additionally, our past clients speak highly of us, our online reviews are great, and we have a mid size Property Management in Philadelphia portfolio. Being mid size, we are not new to the business, but at the same time are able to devote time and attention to each client.